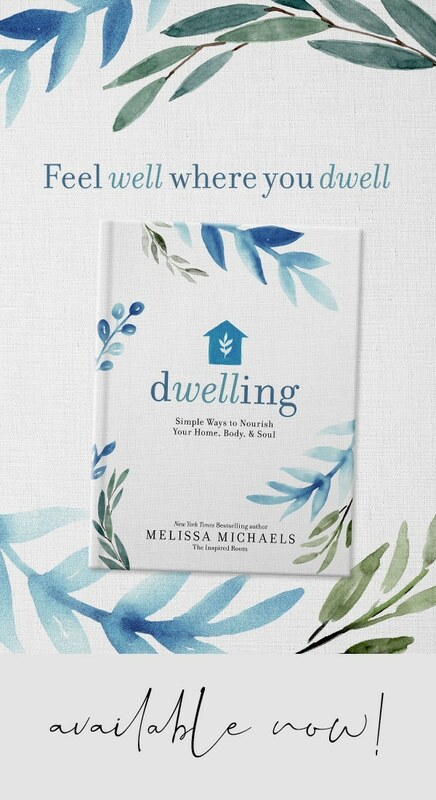 When we first moved into our house, our backyard was a typical new construction home on barren land. No trees, no plants, no landscaping. We had weeds and rocks for soil, and that was it. After living in old homes with established landscaping to work with, our sad little backyard was a bit depressing. I love to design small garden areas but since our soil was filled with rocks, planting was nearly impossible. Any time I had the urge to plant something, it was a big ordeal. I knew I was going to have to enjoy the small improvements we could make each year since a professionally landscaped backyard was not in our plans. The yard didn’t have any structure at all to begin with, so last year we focused on adding shape, interest and function by creating a pea gravel patio for our fire pit, a flagstone walkway, and designated some planting areas. By dividing our backyard into four zones, we felt like we could make the most of our space and even almost visualize it eventually being a charming and useful backyard! The designated zones also help us to know where to focus our time and improvements! This summer we are really excited to be laying a flagstone patio for our table and adding more plants and trees. While it will be many years before our landscape is as full and lush as I dream it will be, it helps me to feel like I’m making progress when I zero in on these little areas I can improve right now. It’s easy for me to get overwhelmed by the big picture, so it’s nice and definitely encouraging to see each little area coming along! One thing I tend to struggle with when I do projects around the house or yard is FOCUS. I’m all over the map sometimes, doing a little bit here and a little bit there. 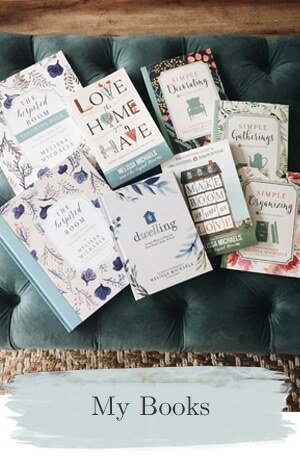 But since I know concentrated FOCUS is what can quickly transform little uneventful areas into inspiring spaces, I really have been trying hard to grow in my ability to stick with improving one corner at a time until it feels more complete. 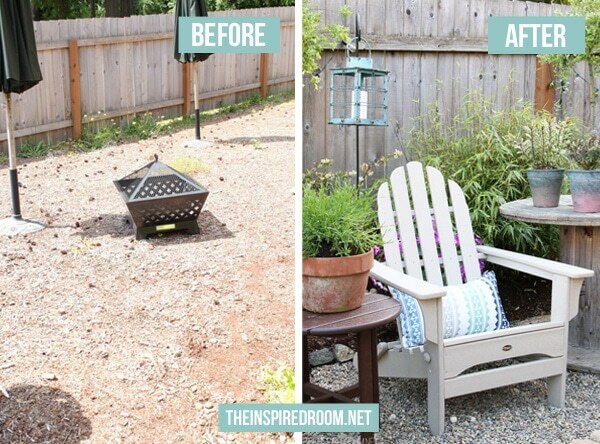 This little spot has been in progress for awhile, but recently I did a little spring clean up, planted a few pots and plants and set up a charming folding Trex Adirondack chair and end table near my recycled spool table (you can find the all weather patio furniture from Trex). 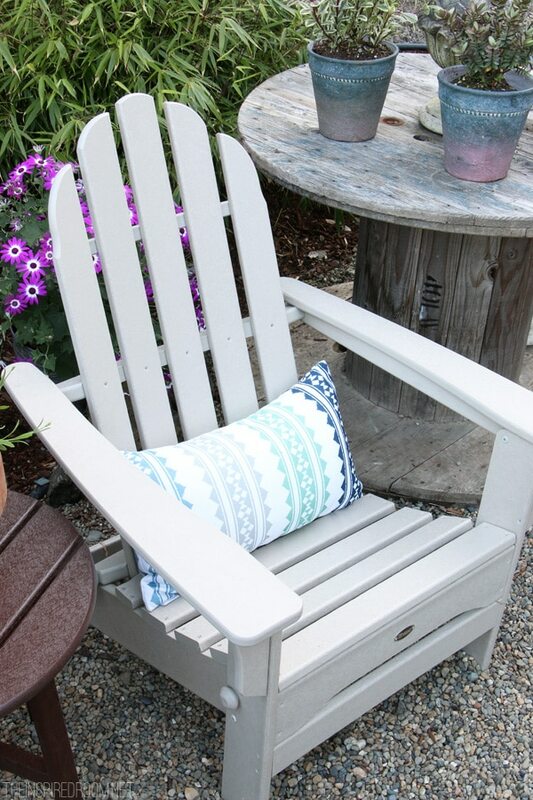 I’m absolutely in love with Adirondack chairs (<<see this post for some more inspiration!) 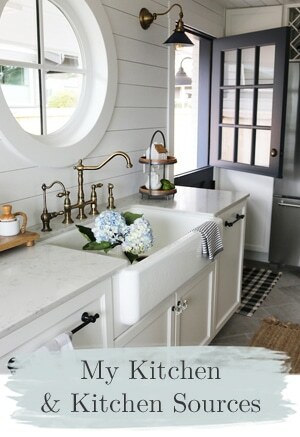 and this one is so adorable and low maintenance, too! Perfect for our Northwest weather. When we look back at the before photo (above) of where this area all started and see how far we’ve come, we are more determined than ever to keep on giving each corner of our yard a little more love every year. A little landscaping, some cute pots and plants, a few accessories and charming furniture made a world of difference! 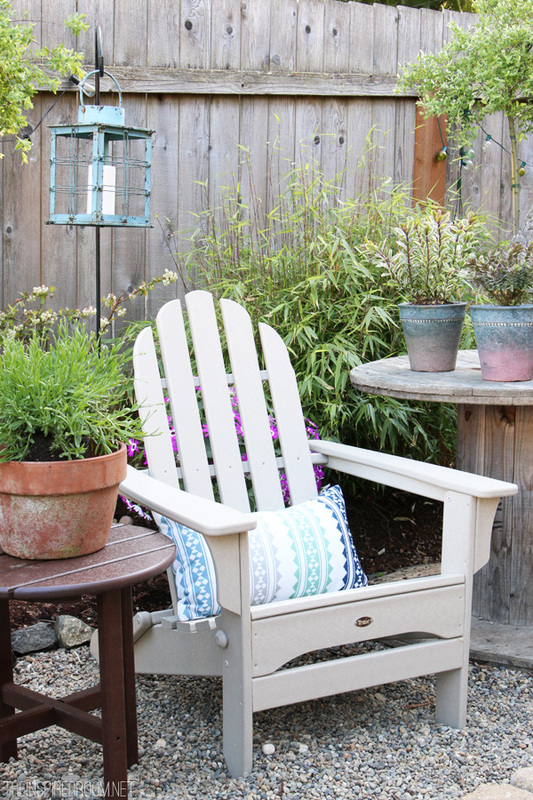 Do you have a sad backyard corner you could improve this Spring? The post was created in partnership with Trex. As always, my opinions are my own. Just beautiful! It is amazing what some furniture pieces and TLC (and of course your talented touch) can do! 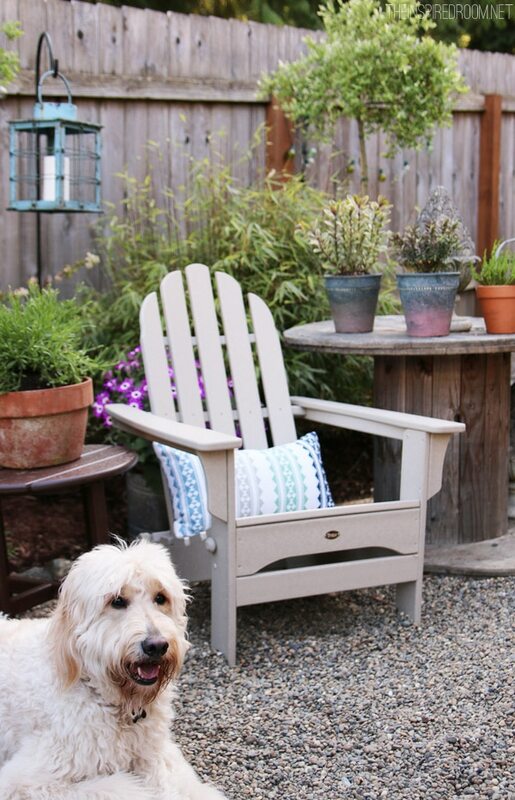 I love that adirondack chair too! Here in the Seattle area, it doesn’t take long for a garden to grow to the lushness you dream of. Work with a good garden planner. Have defined goals. Know how you want to use the space. A good designer will help you site things properly, avoid dead ends and wasted effort and money.You don’t wind up digging stuff up and moving it somewhere else or tossing it altogether.In the long run, you save money and time. And improve your soil and drainage before everything else. Good luck. I can SO relate to this post. We built our home on completely baron land and the soil is not ideal and gophers are always eating the roots off things. ? 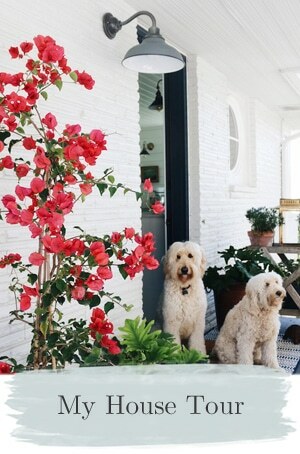 I long for a lush, established landscape and tend to scatter my efforts across the whole yard which results in spending lots of money and seemingly little result. I keep telling myself in 15 years this joint is going to be awesome. ? Right? I have been trying hard to focus on one corner at a time and it’s still slow going but at least I can see the light at the end of the 15 year long tunnel, lol! I would love to see a full shot of this area..,do you have one that shows this whole zone? Looks fabulous! I’ll be showing more of the yard for sure! It’s not all done but corner by corner we are making progress! I actually think there was a bigger shot at least of the patio (before this chair corner came together) a week or two ago when I showed my new patio covers? I need to redo my raised veggie bed. I got some metal corners and just need to get the wood. 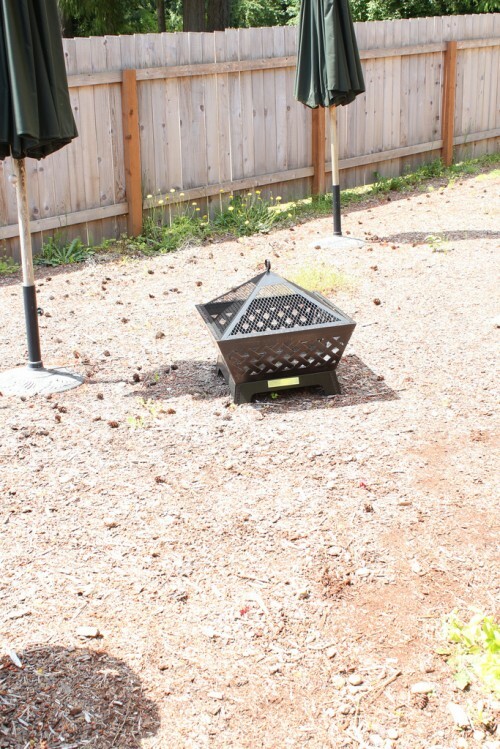 I did a live chat with Trex and they said their planks are safe for garden beds, though they don’t show any pictures. So, I’ll check out the cost and I may use the boards at least for the bottom layer to deter certain bugs. Since you have a rocky backyard, consider raised beds for a fast way of getting plants in the yard. Much easier on the back – no digging out the rocks and amending the soil as well as easier to tend to the plants. Yes, that’s really the way to go. I used barrels last year and that seemed to work pretty well! Thanks! Melissa, your idea to divide your yard into quadrants is SO helpful! I tend to be all over the place, as you stated in your post! I am going to take this wonderful advice and apply it immediately! Thank you so much! You’re a genius! Ha, well, not a genius but I do make a lot of mistakes before I finally learn something hahah! Yay, thanks so much, Mel!! My entire backyard is sad, but it’s all grass. Thick, dense roots make it difficult to plant anything, too! But I really like and find your corner inspiring! I’d like to try something like it. The sections do help me to know what to do where, I’ve been enjoying breaking the yard down to manageable chunks! :) The chairs from the decking would be a fun project!! I love the flower pots! And everything else of course! Where did you get the pots? I found most of the pots at Home Depot and Lowes! :) Thanks! Trex outdoor furniture is so practical here in SW Florida where everything quickly succumbs to the salty, moist air. However, the cost prohibits us from using. For those who can afford, enjoy!!! You will love their furniture! It is an investment, but I sure dislike decks that need so much maintenance or need to be replaced so often. Our back deck is always a pain to maintain, so I would love to replace it someday! I’m sure it’s tough with your salty air, my parents had the same issue at the coast. The decks were always a challenge! Love the improvements to your backyard!! Great job, Melissa! What a difference just a few items make with a special touch! I can relate to the new house empty lot syndrome! We have done that twice. 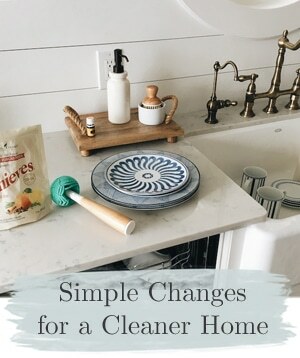 When we bought our very first home, we went to the house just before we closed on it, picked up all the trash the builders left strewn across the yard and made a pile for removal later. We went back the next day only to find the contractors had graded it all back into the yard! It takes awhile to get your yard, gardens, and home where you want them, but I believe the process is part of the enjoyment. It’s rewarding to see your hard work and accomplishments down the road. If it were so easy, it wouldn’t be that special, right? We’ve also been doing yard stuff. We’ve been in our home for 3 years now. We added a deck to your yard 2 years ago but never did any more than that. I’ve added some shrubs along side the deck, Crape Myrtle, Scotch Broom, and Foxglove flowers so far. All are supposed to be deer tolerant. I also just received a garden fountain for Mother’s day I love the sound of water. 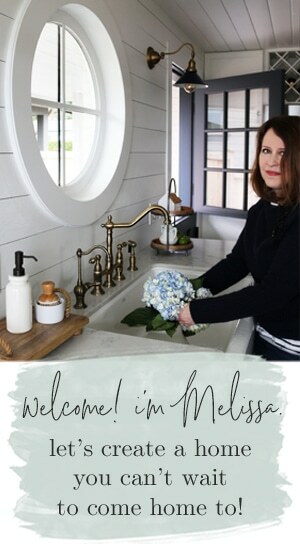 I love your patio, Melissa!